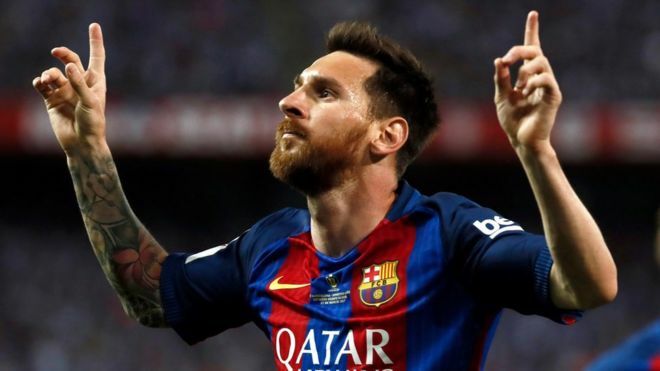 Football star Lionel Messi's 21-month prison sentence for tax fraud has been changed to a fine by the Spanish courts. The Barcelona star must pay €252,000 ($288,000, £223,000), equating to €400 for each day of the sentence, the court said in a statement. Messi, along with his father Jorge, was found guilty of defrauding Spain of €4.1m between 2007 and 2009. His father's 15-month sentence was replaced with a €180,000 fine. The pair had been found guilty of using tax havens in Belize and Uruguay to conceal earnings from image rights. As well as the suspended jail terms, the Argentina international was fined about €2m and his father €1.5m. They made a voluntary €5m "corrective payment", equal to the alleged unpaid tax plus interest, in August 2013. Messi's appeal against the sentence was rejected by Spain's Supreme Court last month, but his father's jail time was reduced because he had paid some of the taxes. The footballer was never expected to serve time in jail as under the Spanish system, prison terms of under two years can be served under probation.